The book Pinterest Power by Jason Miles and Karen Lacey was released in November 2012. I took my time reading through this book because there are just so many great tips in there, I didn't want to miss anything. Why should you buy a book on using Pinterest for business? You may already spend hours (and hours, and hours...) on Pinterest and feel like you have a good grasp on how to use the site. However, if you're using Pinterest to promote your craft business, there are a lot of tips and techniques you can use to ensure you're making the absolute best use of your time on the site. Using Pinterest for business requires a degree of thought and strategy that is not necessary if you are just visiting Pinterest for fun. Before I read Pinterest Power, I had read a lot of articles online about using Pinterest for business. I had also spent an awful lot of time on the site both for my business and for personal use. However, even though I had a working knowledge of how to use Pinterest for business before reading the book, I still gathered an enormous amount of valuable information from the book. Why should you buy this particular Pinterest book and not one of the many other books on the subject that have been published? I've been following Jason Miles' writing on Pinterest for a while, and I prefer him to other Pinterest gurus I've checked out because he comes from a combination craft business and marketing background, and because he backs up his claims with his own thriving Pinterest account and family craft business. I've read enough of his work to know that he provides great advice, and he is the real deal. If you check out Amazon, you'll find other books on the subject. There are even free Pinterest books for Kindle on Amazon. However, take a minute to look up the authors' Pinterest accounts before you buy or download one of these other books. I just did it, and many of the authors have under 200 followers. In my mind, you need at least 1000 followers minimum to have any credibility as a Pinterest expert. Shockingly, some of the authors of Pinterest how-to books have 0 followers and 0 pins! That's right! A big, fat ZERO! It's beyond me how someone can teach how to use Pinterest effectively when they don't have a single follower or pin on their own account. To be fair, I haven't read the other books on the subject. But I won't even bother with the free ones because my time isn't free, and I don't want to waste my time with someone who obviously hasn't immersed himself or herself in the use of the site. Jason and his wife have built a profitable business selling handmade doll clothing and doll clothing patterns, and Pinterest has become a large component of the success of that business. When Jason writes about using Pinterest, it's obvious that he has experience in the craft world because his examples are completely relevant to this industry. 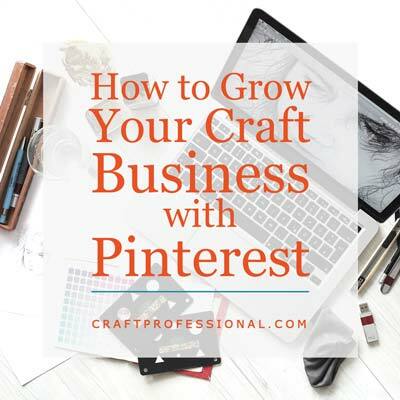 When he mentions businesses on Pinterest who are using the site well, they are more often than not related to the crafting world, or the closely related fashion and design realm. 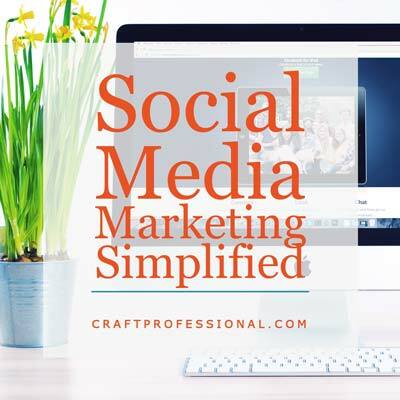 When he provides examples about how to connect Pinterest into your existing business model, the examples are often related to creative-type businesses. As a craft business owner, you won't have to think very hard to figure out how his ideas and examples fit into your own business model. Although Pinterest Power is not specifically "Pinterest for Craft Businesses," it is pretty darn close. As I mentioned, on top of Jason's craft background, he also has a strong marketing background, and that shows in his writing. The marketing advice he gives in this book goes well beyond simple Pinterest best practices and delves into deeper marketing concepts that you just wouldn't get from someone who understood Pinterest well but didn't have a deep understanding of marketing in general. This book is fabulous. It's full of ideas that I have been able to implement immediately with my own Pinterest for business account, and it has some bigger longer-term ideas that you can implement over time. If you're going to use Pinterest to promote your craft business, Pinterest Power will truly help you connect with your customers and make the absolute best use of your time on the site. How to grow your craft business with Pinterest. A sane approach to building your business with social media.